We received this note from Miss Carol Nicholson, elementary school teacher at Blackwell Elementary School in Sammamish as a result of a presentation by PSBA President, Gerardo Dilillo, to her classsroom. 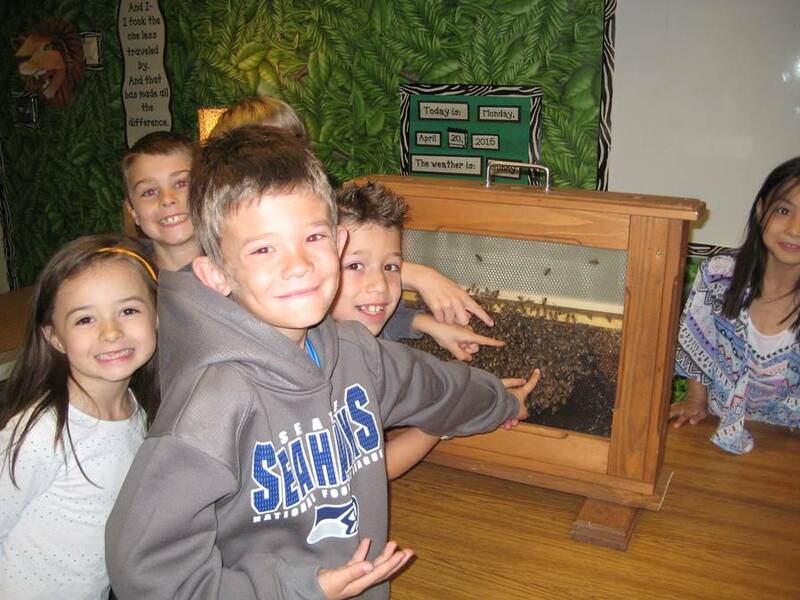 PSBA loves to share our passion for bees with kids of all ages! How do you get the attention of 66 six year olds? Carry a bee hive into their classrooms! As part of our curriculum, first graders learn about plants and flowers. 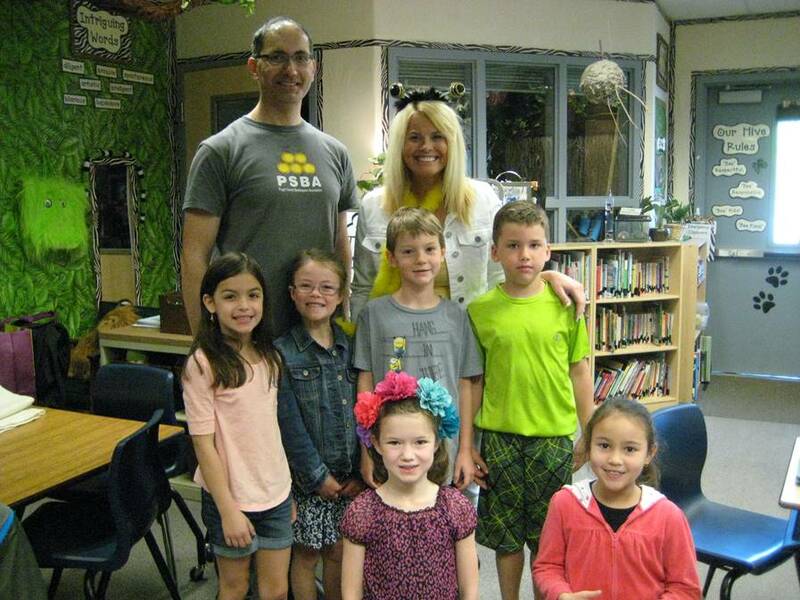 So when Gerardo Dilillo, a parent of one of our students, offered to share his work with beekeeping, all three first grade classes at Blackwell Elementary in Sammamish, Washington jumped at the opportunity. He visited each classroom for an engaging 25 minute session. Masterfully, he shared how bees help flowers and flowers help bees which was exactly what we had been teaching our students. The students were engaged when he offered a “Quiz” with special pins as prizes. Introducing the students to different types of bees was especially interesting to several of the students. Equipped with this new knowledge, they began discussing which type of bees had stung them! When we invest in children, we make a difference. By equipping them with practical scientific knowledge and doing in a way that is memorable, we foster an intellectual curiosity that will be needed to fix the problems in our future. Gerardo Dilillo did just that and the 66 first graders at our school will not forget it. If you’d like to be part of PSBA’s list of speakers who help us fill presentation requests from schools and other community groups, there’s a helpful Teach the Teacher session on May 28th to prepare you to represent PSBA. We look forward to seeing you there!